I heard that this movie is based on a good story. That's why I decide to give it a shoot and didn't regret it. This movie leave an impression to me. It's like slapping me in the face and told me, stop just dreaming and start living the reality. 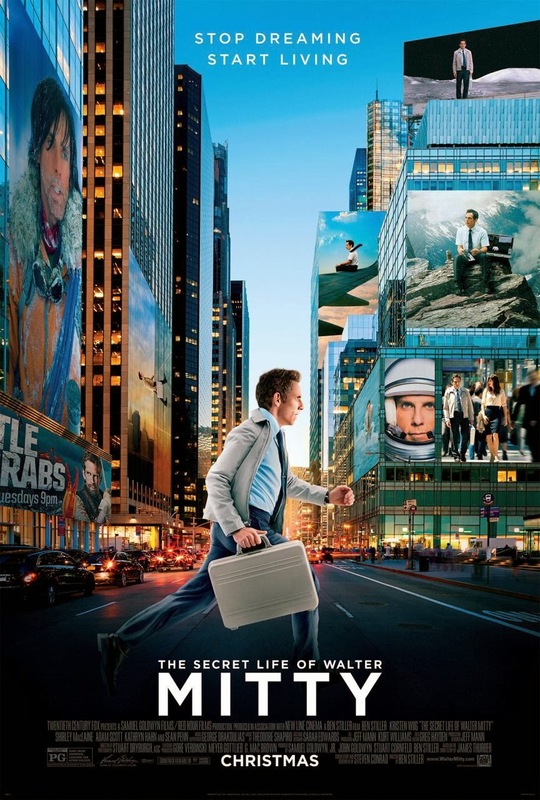 The Secret Life of Walter Mitty is a story about a man named Walter Mitty that love to zone out and daydreaming. He often escapes his anonymous life by disappearing into a world of fantasies (in his daydream, of course) filled with heroism, romance and action. Yeah. Pretty much like me. Ha ha ha. But when he's threatened to be fired, somehow he embark a journey that turn to be a great adventure. Damn. I want to go on an adventure like him! Go to another continent, visit another places and experience different cultures! What I like in this movie is the cinematography. It's great and the visual is pretty. The acting and the music is nice. The story is decent. A perfect balance between humor and drama. But somehow I thought it would have more emotional punch if only they can make the story more deep. It's pretty predictable and sometimes I don't really have sympathy with his love life, but whatever. Overall I really like this movie and recommend you to see it. So go see it in cinema and told me your impression about it ^^. He he he. How about in our senior high school? I used to daydreaming a lot. Maybe I still do. Don't expect greatness, just expect a simple tale that will touch your heart, without yanking-away at it. Good review Suk.